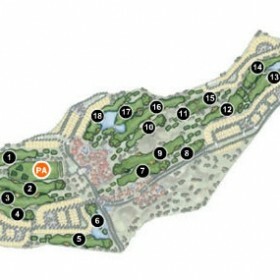 The midsize, par 71 golf course at El Valle Golf Resort is located in a beautiful desert valley. 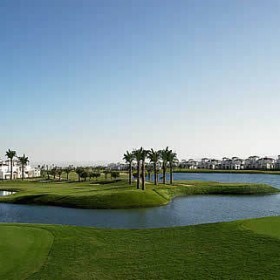 The golf course has holes which are bordered by other holes, and not to the homes or villas, creating an open and natural setting. Instead of length, the course is oriented more toward creating difficulties and challenges for the player. The course rewards innovative and bold shots. El Valle Golf Resort includes groups of subtly shaped bunkers that sink into the desert landscape of holes surrounded by natural rocks. Two lakes that flow into brooks and cascades provide the perfect touch to make El Valle Golf Resort a unique stop among the golf courses designed by Jack Nicklaus. Great slopey quick greens and big run off areas gives a links type feel to this course.